(2-LP set) "American Caesar" was originally released in 1993, a couple of years after the all star "comeback" album "Brick By Brick", the double album found Iggy returning to the studio for the follow up with his muscular, tight touring band and they made what is arguably his best solo record since "New Values" in the 1970s. The dark, loud and subtly atmospheric record was recorded in New Orleans with Producer Malcolm Burn. 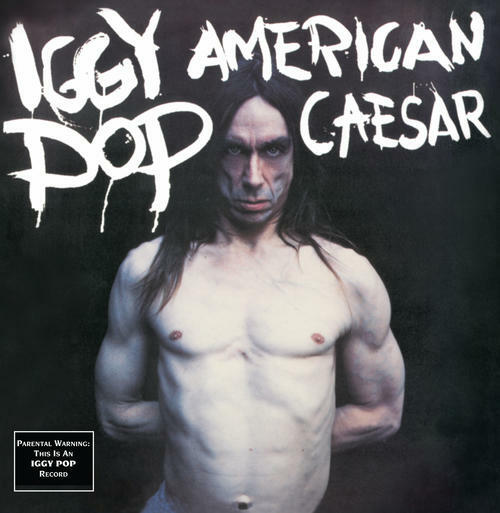 "American Caesar" finds Iggy exploring the dark heart of America in songs that range from all out hard rock such as "Wild America" and "Sickness" to calmer numbers like "Jealousy" and "Mixin' The Colors". Iggy also puts his stamp on the rock classic "Louie Louie" and makes it his own with some lyrical updating. He ends the record with the funny and brutal spoken word "Caesar" in which Iggy plays a U.S. version of the ancient leaders of the Roman Empire. This is most definitely an Iggy Pop record and a hidden gem in his catalog. Includes a previously unavailable insert with an image of Iggy on one side and the lyrics on the other.